Sofa Dog loves his sofa – and there’s NO ROOM for ANYONE ELSE! Unfortunately, all sorts of crazy characters want to share it with him: two cats; three aunties; several rabbits; some orangutans, and even a prize-winning pony. What on earth is a sofa-loving dog to do? Join in the mayhem, and discover just how much you can squish on one sofa! Leonie Lord is the internationally acclaimed illustrator of the bestselling WHIFFY WILSON books. 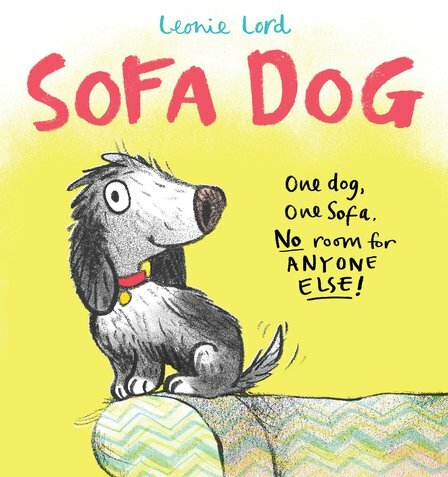 SOFA DOG is the first book she has both written and illustrated.